The next time you hear a liberal bash conservatives – just ask them 10 simple questions. In fact- print this out and give it to them. Have them write down their answers. The more “No” answers means the more they agree with the Republican Party. Add up the answers and then ask – are you sure you are a Democrat? 1. The Democratic Party is against drilling for oil in Alaska, because they are afraid of upsetting caribou and other wildlife. Are you against drilling for oil in Alaska? 2. The Democratic Party is for allowing illegal aliens drivers licenses, health care, access to public schools and some even want to give them the right to vote. Do you believe illegal aliens should be granted these rights? 3. The Democratic Party has been against implementing time limits for receiving welfare. Do you believe that able bodied people of sound mind should receive welfare indefinitely? 4. The Democratic Party is for redistribution of income. Do you believe that the money you earn should be distributed to able bodied people of sound mind that earn less than you personally? 5. The Democratic Party is for laws that punish discrimination, but also support affirmative action based on race. Republicans are for laws that punish discrimination in all forms, but are against affirmative action. Republicans believe that people should be judged on their merits and if you want to give an advantage to someone it should be based on their level of poverty and not race. Do you agree with affirmative action based on race? 6. The Democratic Party is for gay marriage, because they believe that people that love each other should be allowed to marry. Do you support gay marriage and if so, do you support polygamy and marriage between family members if they love each other? 7. The Democratic Party would like to remove the word God from the Pledge of Allegiance and the Cross from government county seals. Are you in favor of this? 8. The Democratic Party is overwhelmingly against punishing murders with the death penalty, but support the taking of life of innocent unborn children via abortion. Do you agree with these positions? 9. The Democrats Party believes that partial birth abortion(which is ending the life of a baby as it is being born) should be allowed when a mothers health and not their life is in danger. Can you name any other circumstance or a law that allows you take a life when your health and not your life is in danger? 10. The Democratic Party is against the war in Iraq because over 1,000 military personnel have died in an attempt to spread freedom. However, close to 40,000 people die in automobile accidents each year in America. Democrats are not against banning driving. Do you believe that driving your car to the grocery store is a greater cause than dying for the cause of freedom? More voters trust the Democratic Party than the Republican Party on budgetary issues, according to the results of a new poll for The Hill — even though a strong majority actually prefer Republican fiscal policies. Respondents in The Hill Poll were asked to choose which of two approaches they would prefer on the budget, but the question’s phrasing included no cues as to which party advocated for which option. Presented in that way, 55 percent of likely voters opted for a plan that would slash $5 trillion in government spending, provide for no additional tax revenue and balance the budget within 10 years — in essence, the path recommended by House Budget Committee Chairman Paul Ryan (R-Wis.) last week. This was almost twice as many voters as opted for a proposal that would include $1 trillion in added tax revenue as well as $100 billion in infrastructure spending, and which would reduce the deficit without eradicating it. Only 28 percent of voters preferred this option, which reflects the proposal put forth by Senate Budget Committee Chairwoman Patty Murray (D-Wash.) last week. An even stronger majority of respondents, 65 percent, said U.S. budget deficits should be reduced mostly by cutting spending rather than by raising taxes. Just 24 percent said the budget should be balanced mostly by increasing revenue. As soon as respondents heard the words “Republican” and “Democrat,” the picture changed drastically. A plurality of voters, 35 percent, said they trust the Democrats more on budgetary issues, while 30 percent said they trust the Republicans more. A full 34 percent said they trust neither party. House Democrats, incidentally, put forward their own budget yesterday. It would raise taxes by $1.2 trillion, hikes revenues more than it would cut (rightly excluding the Budget Control Act savings passed in 2011), and doubles the Senate version’s new “stimulus” tab to $200 billion. Though it increases spending even more than Senate’s version, both Democratic plans largely ignore entitlement reform, speeding the collapse of the safety net in the relatively near future. The ranking House Budget Committee Democrat says using certain actuarial assumptions (which are dismissed by Republicans as unrealistic), his caucus’ budget would balance by…2045. Guy Benson is Townhall.com’s Political Editor. Follow him on Twitter @guypbenson. I don’t see it happening, but I’m praying that top-level Republicans (working with other conservative parties like the Constitution Party / Libertarian Party / etc) will see the need for an organized project to watch every vote at every voting precinct in the nation and ensure that voter fraud is wiped out as a potential for swaying the election.It needs to be a proactive effort — not a post-election litigation effort. Organize and train poll watchers in every state / township / precinct. Organize and train Republican election judges in every state / township / precinct. Video cameras in each voting location to record the entire day or events of concern by the poll-watchers (even if it’s just smart phone cameras). The only thing that will wipe out voter fraud is having well-trained eyes on every voting booth the day of the election. Plus, Brian Bollmann, a lowly chair of a county Tea Party, 3 days before an election, shouldn’t be running around begging for Republican Election Judges for the city of St. Louis. But that all takes money, and who sees it as important enough to foot the bill?!? It wasn’t in 2012; will it be in 2014 or 2016? I hope it will. We will certainly continue to work to prevent voter fraud in our little corner of the world as best we can! Romney had Obama down on the mat and let him back up.Too bad. From Bill O’Reilly’s message board:Most everyone suspected fraud, but these numbers prove it and our government and media refuse to do anything about it.As each state reported their final election details, the evidence of voter fraud is astounding. Massive voter fraud has been reported in areas of OH and FL, with PA, WI and VA, all are deploying personnel to investigate election results.Here are just a few examples of what has surfaced with much more to come. The National SEAL Museum , a polling location in St. Lucie County, FL had a 158% voter turnout. Palm Beach County , FL had a 141% voter turnout. The U.S. government’s debt is bad. How bad? It’s so bad that liberals don’t even pretend to have an answer any more. They used to shrug it off. “We’ll grow our way our of it.” In a recovery this weak? With 8.5% unemployment? They know better. But Congress does nothing about this. It has no intention of doing anything. 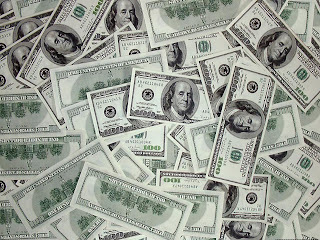 #1 During fiscal year 2011, the U.S. government spent 3.7 trillion dollars but it only brought in 2.4 trillion dollars. #2 When Ronald Reagan took office, the U.S. national debt was less than 1 trillion dollars. Today, the U.S. national debt is over 15.2 trillion dollars. #3 During 2011, U.S. debt surpassed 100 percent of GDP for the first time ever. #4 According to Wikipedia, the monetary base “consists of coins, paper money (both as bank vault cash and as currency circulating in the public), and commercial banks’ reserves with the central bank.” Currently the U.S. monetary base is sitting somewhere around 2.7 trillion dollars. So if you went out and gathered all of that money up it would only make a small dent in our national debt. But afterwards there would be no currency for anyone to use.